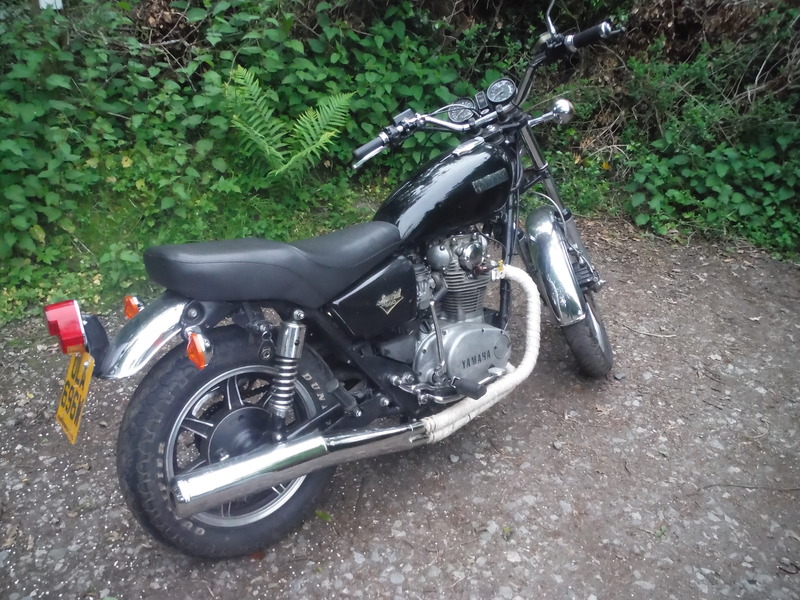 As part of my attempt to make myself more accessible to my customers, and give a more personal feel to my business website, I have decided to share with you my passion for motorbikes. I know this has absolutely nothing to do with electrician-ing (yes, it’s a word – I just made it up!) – but I thought it would be fun to let you have a peek at the man behind the screwdriver – or – Beyond the Fusebox, if you will. 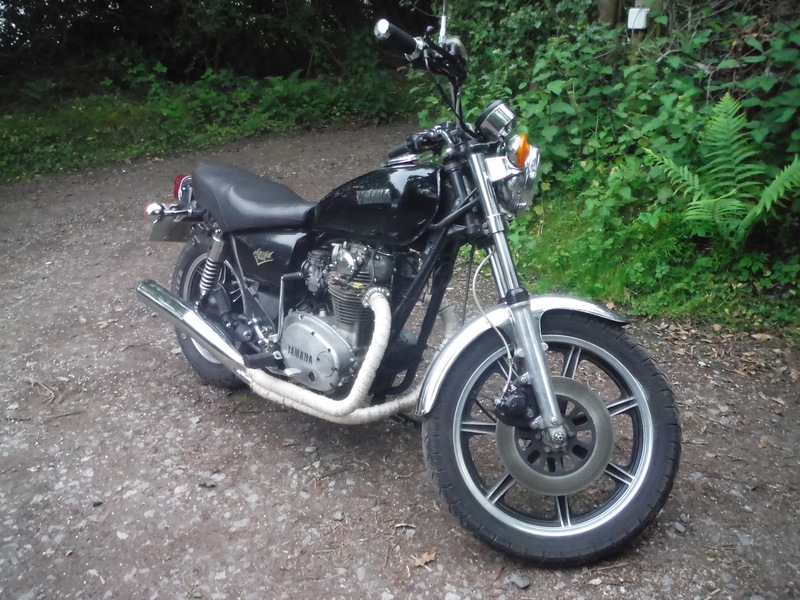 I’m going to use this page to share pictures of my bike, stories about my travels, trials and tribulations of repairs. There will be highs and lows, tears and smiles, frustrations and celebrations – all of which I’m sure any fellow bikers will be familiar with. I hope that you will join me in sharing similar stories in the comments. When I’m not in the mysterious depths of the under-stair cupboard, delving into the fusebox, here are a few other things I like to tinker with. I have a lifelong interest in anything mechanical. If I can combine this with my interest in travel, heading off on a motorcycle trip, life doesn’t get much better. My xs650 special with rebuilt engine and a few modifications. The original carbs were shot and butchered with wrong screws which were cross threaded. New replacements are available but expensive. 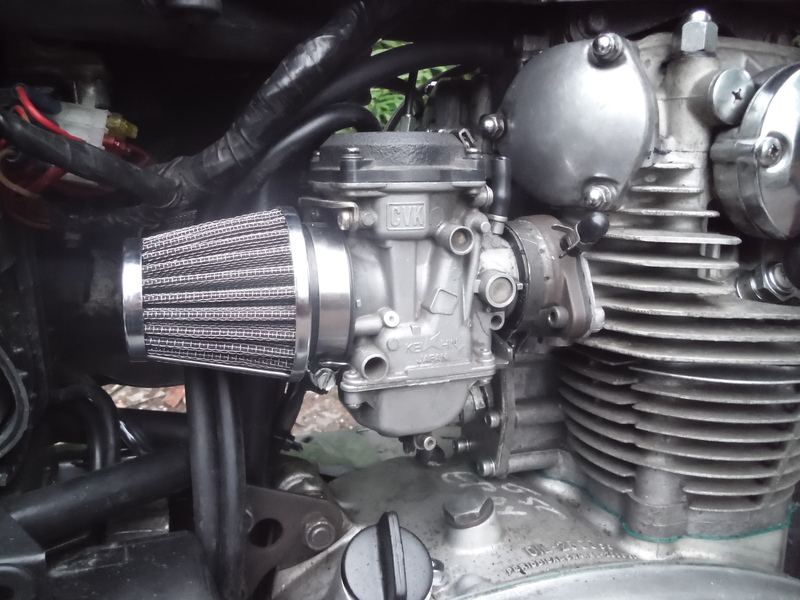 I have fitted Keihin carbs from a mid 90s Kawasaki EX500 picked up for 50 quid from eBay. These have flat slides and are better than the original. The venturis are the same size and they fit straight into the inlet ports, though you do have to file out the bracket which joins them to clear the frame. 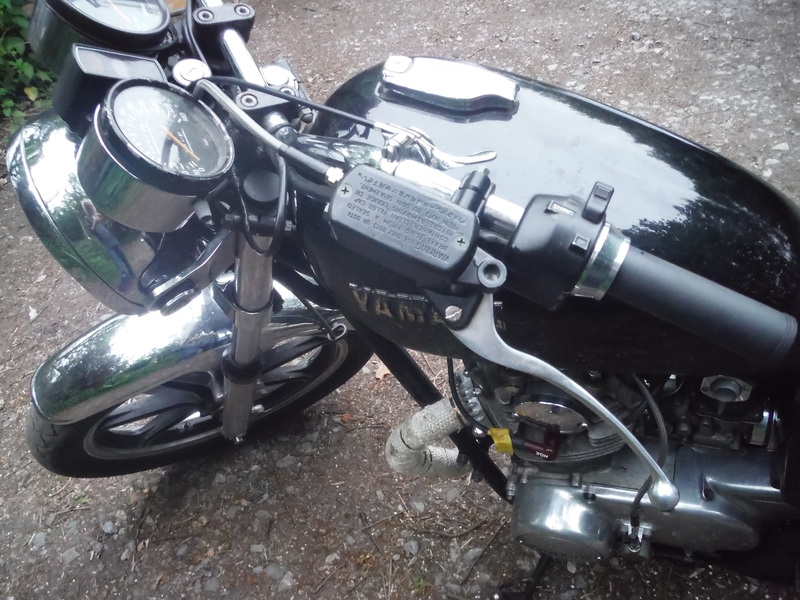 Also need rejetting to suit, new throttle and choke cables making up. The clutch has been converted to hydraulic operation. This requires machining of the side casing to allow the mounting of the Aprillia RSVR 1000 slave cylinder. A short pushrod of approximately 140mm x 8mm rod . 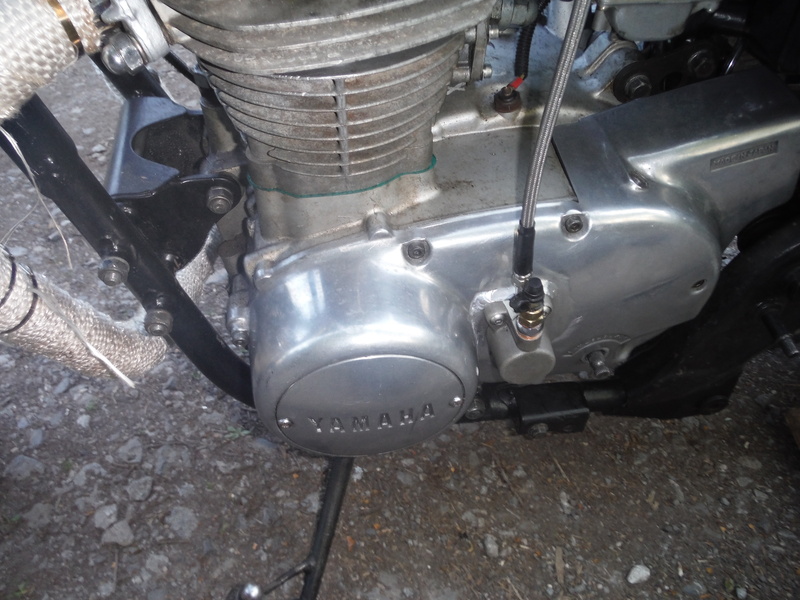 The master cylinder is 14mm bore and was chosen because the reservoir was the right shape and it was cheap. My feeling is a slightly smaller bore would give a lighter pull, and probably still adequate travel. To finish the job a new braided hose was made up to fit. Thanks to Venhill Cables at Dorking for this and P & D Customs at Slinfold for machining work. Both old school craftsman businesses. And finally, here’s a little introduction to my baby by yours truly.